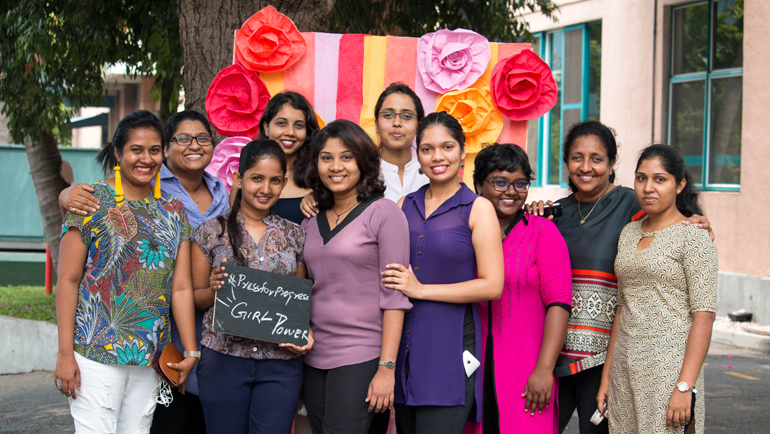 HomeNews & EventsNews#PressforProgress - Women's Day Celebrations at Dilmah. 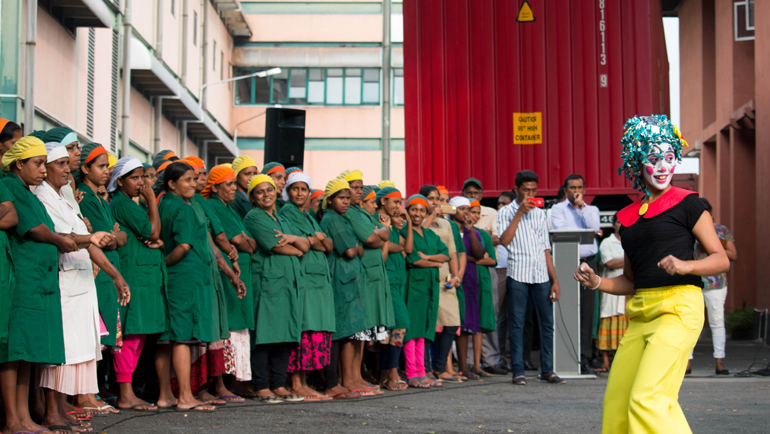 Through purposeful collaboration and creative communication, Dilmah Family’s hope was to bring attention to the social, political, economic and cultural issues that women often face in the society. The eventful day was filled with good company, joy and hope. The multiple programs ranging from the photo booth sessions to psychosocial support corners gave everyone a great opportunity to stand out, speak out, learn and be heard. Henna corners at the office premises got the most attraction. Women, both young and old started queuing up from morning to evening waiting impatiently to get their hands adorned by Henna artists: Randika from Women’s Development Programme at MJFCF and Azra Ashraff. A clinic on sexual and reproductive health which was facilitated by Mahesh Kumara from Family Planning Association Sri Lanka was held for the all staff of Dilmah from executive and production divisions. The one to one consultation program helped female as well as male employees to support and empower each other, share knowledge and arrange mentorships. 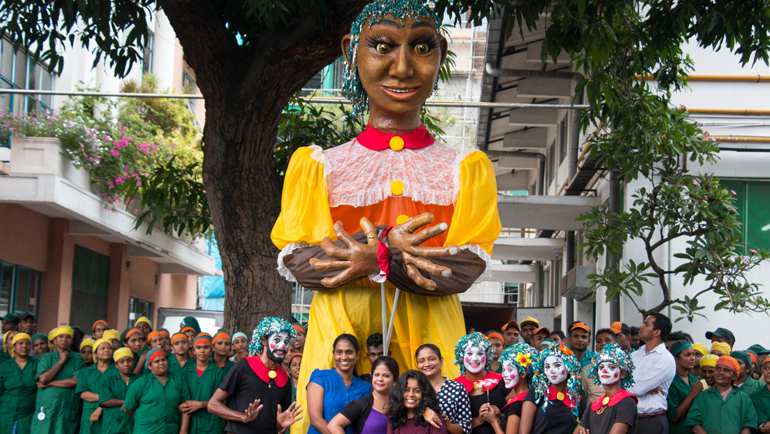 The women’s day celebrations at Dilmah ended on a happy note with the unveiling of the Giant girl Puppet. 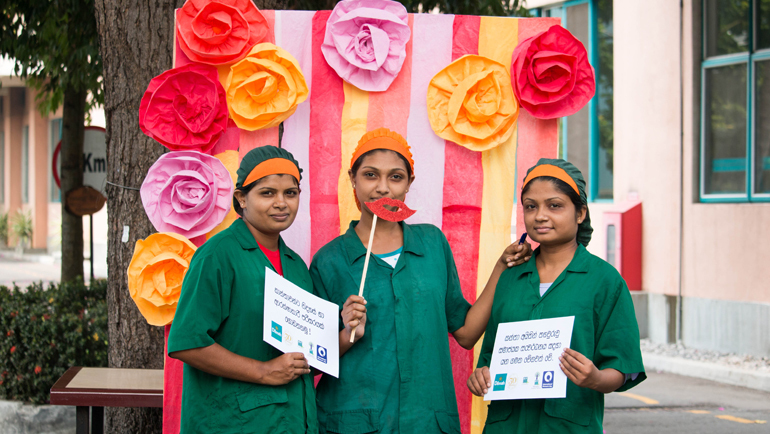 The Giant Girl Puppet project which was a collaborative creation by Dilmah MJFCF youth and Power of Play Ltd. depicted the colossal contribution given by women in order to make the world a better place. 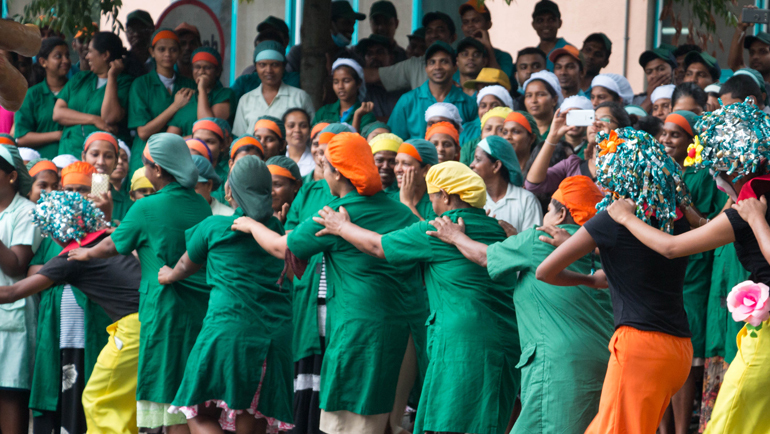 The enthralling performance of the puppet made every spectator in the audience smile and sway to the rhythm of the music, proving that through collective action and by pressing for progress, we can accelerate gender parity and participation in the global arena.